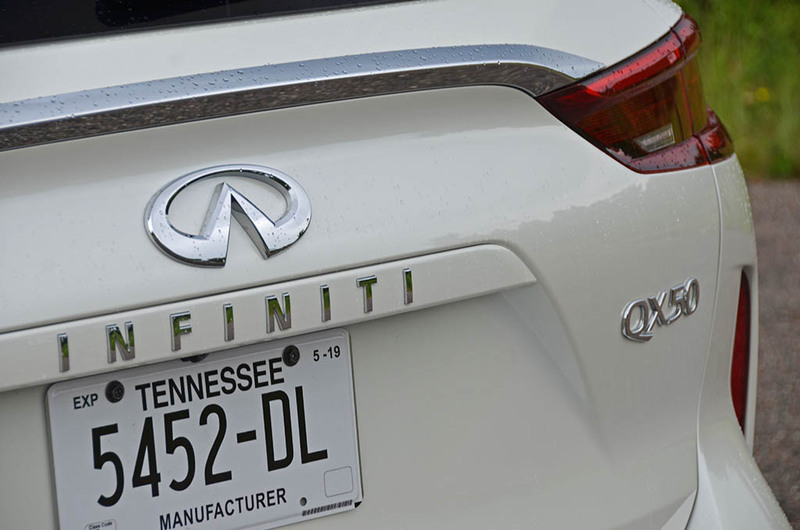 The Infiniti brand has gone through a slight restructure to redefine their significance within the luxury landscape of automobiles. 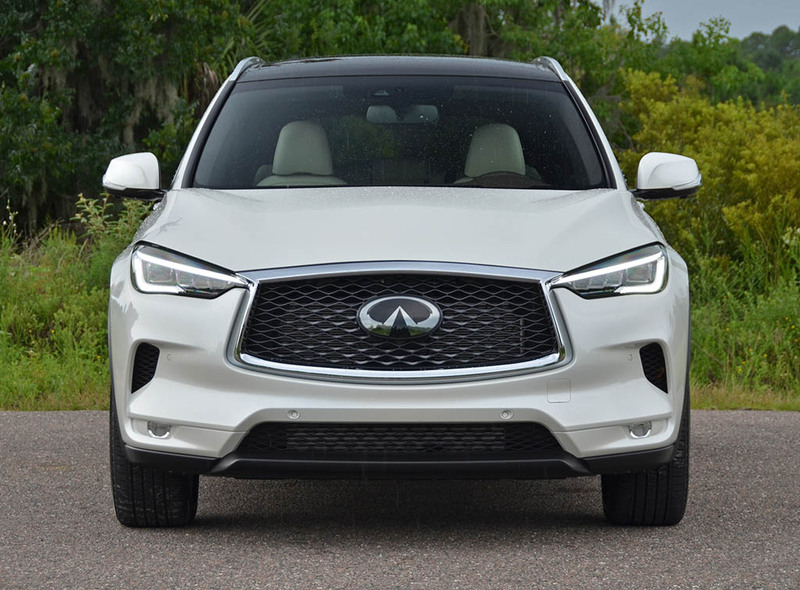 One of the major benefits of the brand’s transition is that it has given us a few new products with the latest being the Infiniti QX50 midsized luxury crossover. 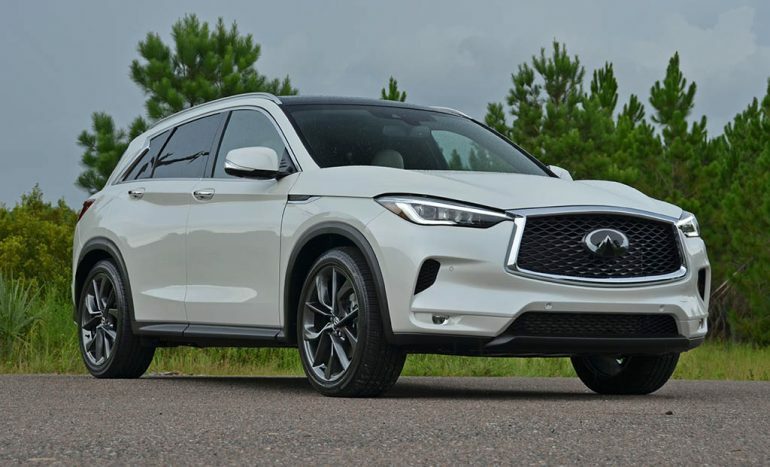 The new QX50 takes up where its smaller V6-powered predecessor left off but gave the brand an opportunity to fulfill an area that is becoming ultra-competitive, that being the luxury crossover segment. 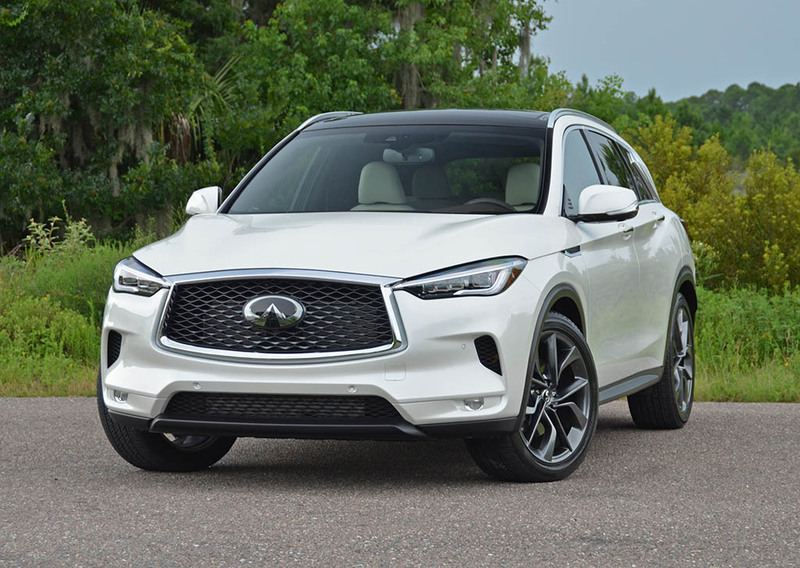 The new 2019 Infiniti QX50 embodies some of the principles that the QX70 (formally the FX35/FX37/FX50) brought to the table with a sporty and unique design flavor for the luxury crossover area. 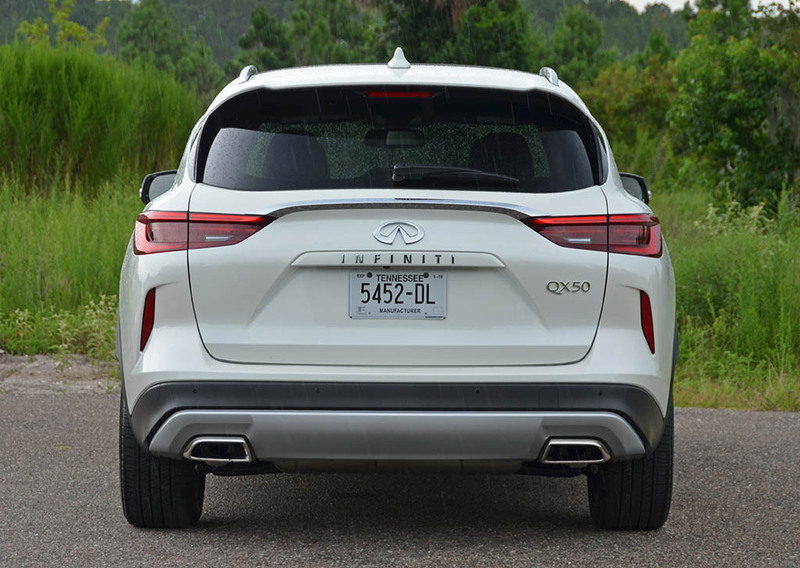 Being that the QX50 retains its position with a lower nomenclature than the discontinued QX70 (discontinued for 2018 but may return), it doesn’t compete with the performance variations of such a segment. When it comes to performance, the front-wheel-drive derived QX50 brings a unique proposition to the table, a first of its kind, an innovative variable compression turbocharged engine that can vary the mixture of fuel and air in the cylinders all dependent on driving conditions and demands. Having such an ability to vary compression, the 2.0-liter turbocharged 4-cylinder powerplant claims to deliver good fuel efficiency while giving the driver access to plentiful power on demand. During my week with the QX50 and its exclusive variable compression engine, the seamless act of varying compression was never noticed but the surge of power was apparent and readily available, most times. I say “most times” because of the QX50’s CVT (Continuously Variable Transmission) was part of my disdain for a vehicle that I think would otherwise be a road-thrasher powering all four wheels in my loaded-up Essential-trim test vehicle. 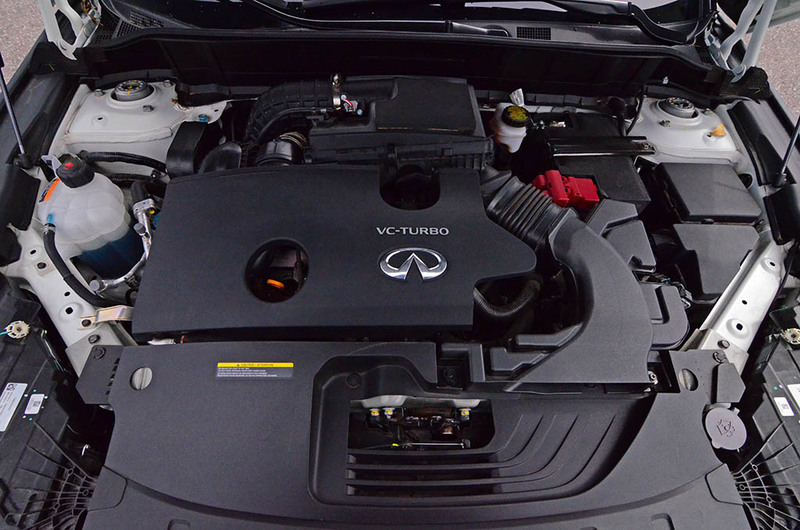 In a nutshell, the CVT tends to be the downfall of the QX50’s powerful yet efficient variable compression engine – in my opinion. The power output, a healthy 268 horsepower and 280 lb-ft of torque, livens the QX50 quite well but being sent through the CVT there are power inconsistencies in delivery at seldom moments. It’s not to say that the QX50 is slow by any means. It does perform quite well and tends to surprise with the sophistication of the variable compression engine when it comes time to shine burying the rpm needle to about 5,600 rpm where horsepower starts to peak – or the torque curve from 1,600 rpm on up to 4,800 rpm puts things in a forward motion. 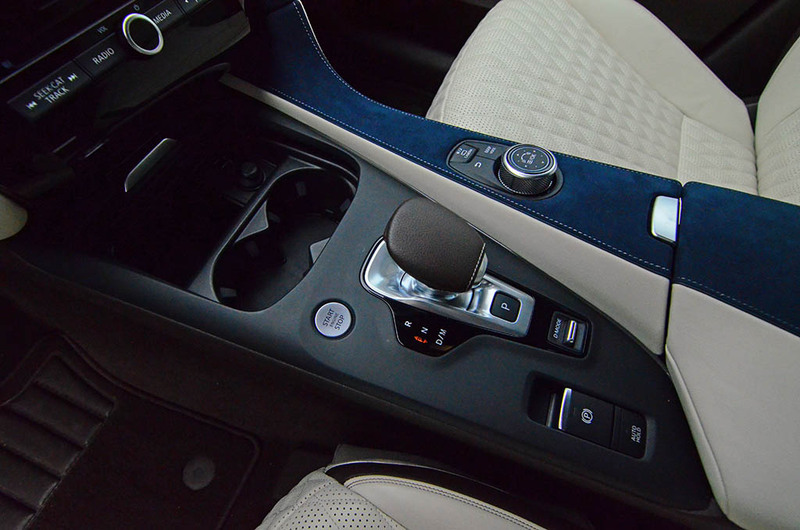 I will say, the CVT unit in the QX50 is among the best CVT I have experienced – a carryover from the larger QX60, which has virtual gear step-downs as you accelerate to almost emulate a traditional automatic transmission. The ratio step-downs programmed into the CVT do well to “boost” acceleration and keep the engine thrusting through its peak power band. The downfall is when you come out of the hole from a stop there is just a split second of unwanted lag. The CVT also has to somewhat play catchup when you demand full throttle after cruising at a steady speed. Moreover, the CVT eliminates its unique ratio step-downs to mimic an automatic transmission with gears when the QX50 is placed into its Sport mode – it then hangs onto an rpm under full throttle acceleration just like CVTs of past. I’m not sure that there’s much “Sport” about such a ratio mapping for the CVT. 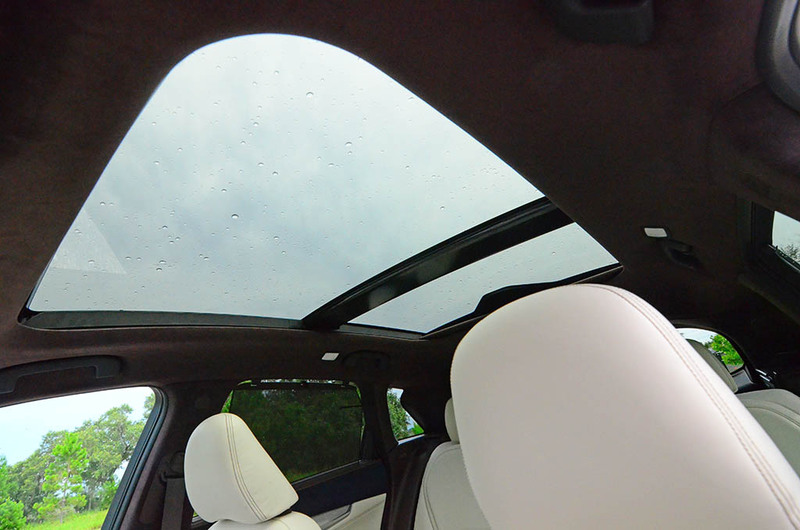 Zero to 60 mph is done in a respectable 6.4 seconds, which places the QX50 right beside its competition. 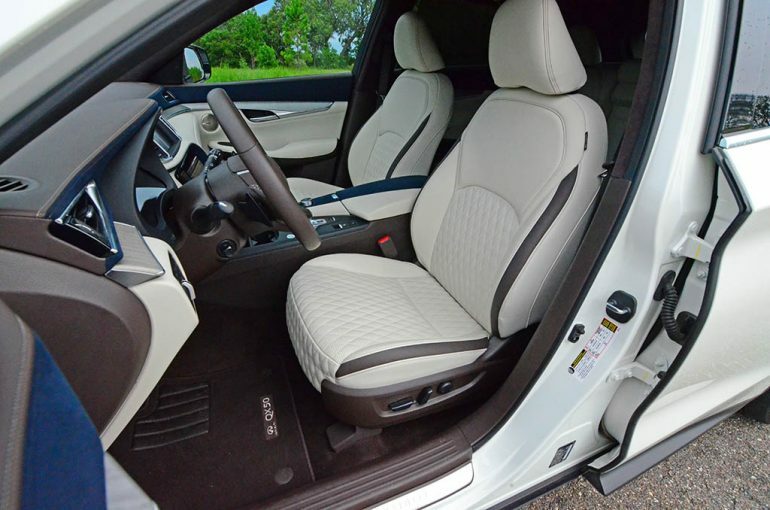 Overall, for the performance desired by the target demographic of the QX50, it will do just fine to appease buyers and those who want to enjoy the benefits of getting 30 mpg on the highway (24 mpg city, 26 mpg combined for the QX50 Essential AWD). Drivers of the QX50 don’t have to fear that they will get left behind on the highway after they put their foot to the floor, the new VC-Turbo engine has substance and gets the job done when it needs to. 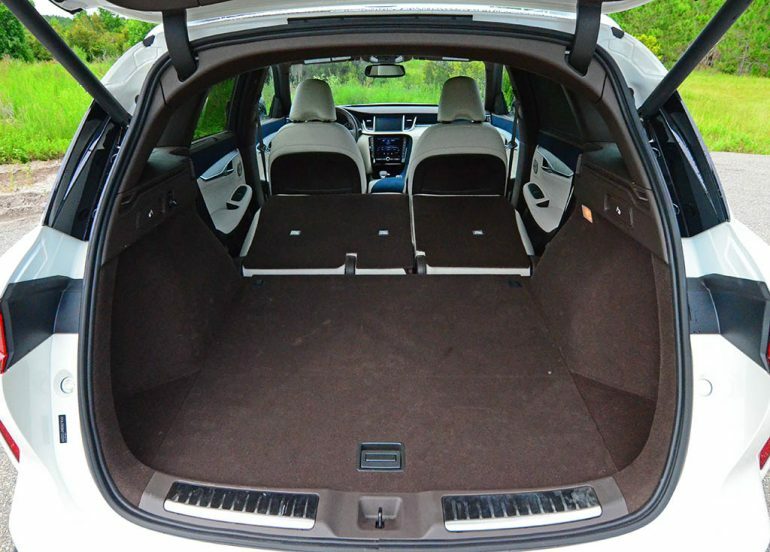 Not to mention, the QX50 is exceptional in the handling department, especially the way it balances a smooth ride quality without compromise when you need to carve twisty roads or maneuver around your local shopping center’s poorly designed parking lot. 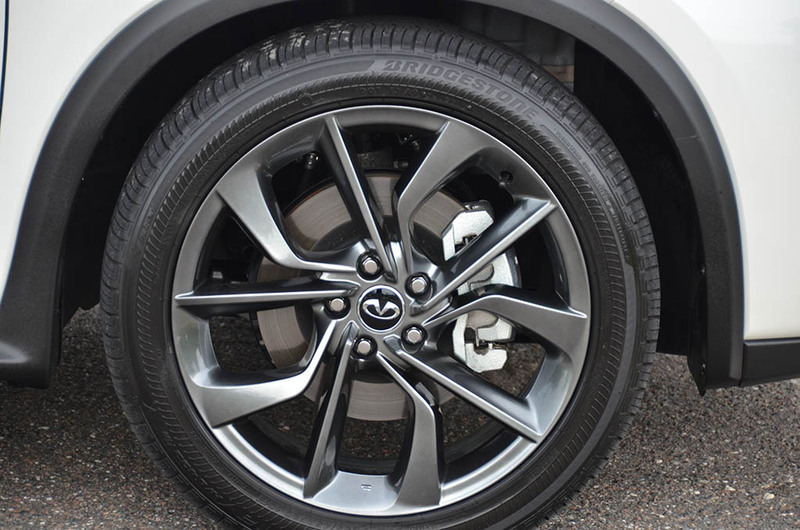 The larger 20-inch wheels wrapped with 255-wide section all-season tires that come as part of my test vehicle’s optional Sensory Package are just the right equipment to not only complement the good looks of the QX50’s exterior and to give an added assurance in the handling department without unwanted harshness from road imperfections. Also reducing harshness from the road is the job of the rather lively but numb-feeling steering system, which comes in the form of the brand’s Direct Adaptive Steering (DAS) system that comes bundled with the optional ProActive Package. 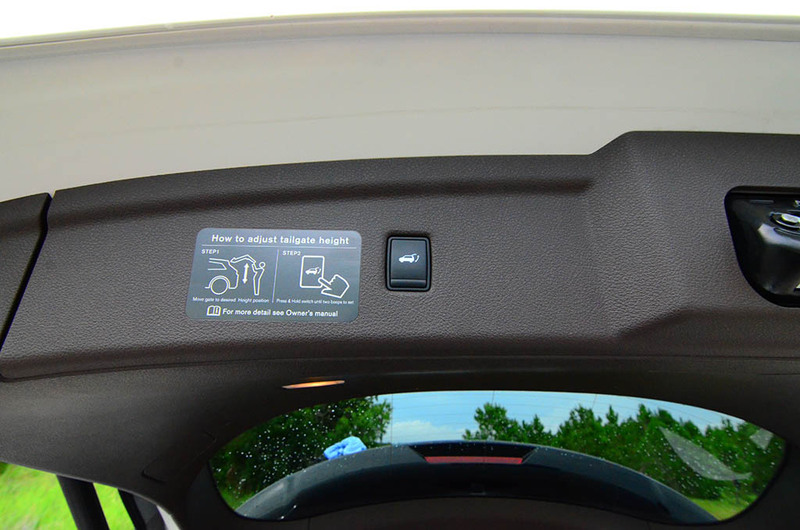 The ProActive Package is chock-full of active safety features on top of the optional ProAssist Package (backup collision intervention, distance control assist, intelligent cruise control, rear cross traffic alert). The ProActive Package adds Nissan’s ProPilot Assist, which combines semi-autonomous driving to steer, brake, and accelerate the vehicle under certain conditions. 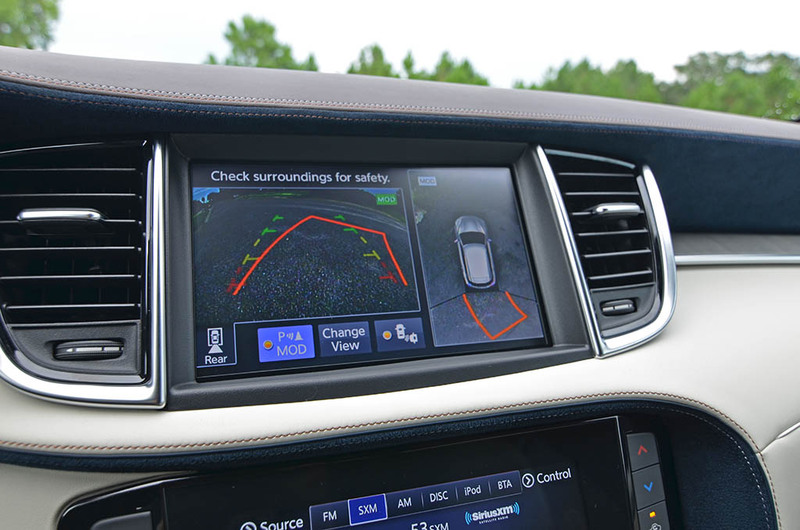 Fundamentally, ProPilot Assist can navigate roads with clearly painted lines through slight bends and curves without much interaction from the driver, other than the driver keeping a hand on the steering wheel as the system will require after a few seconds of detecting no steering resistance. 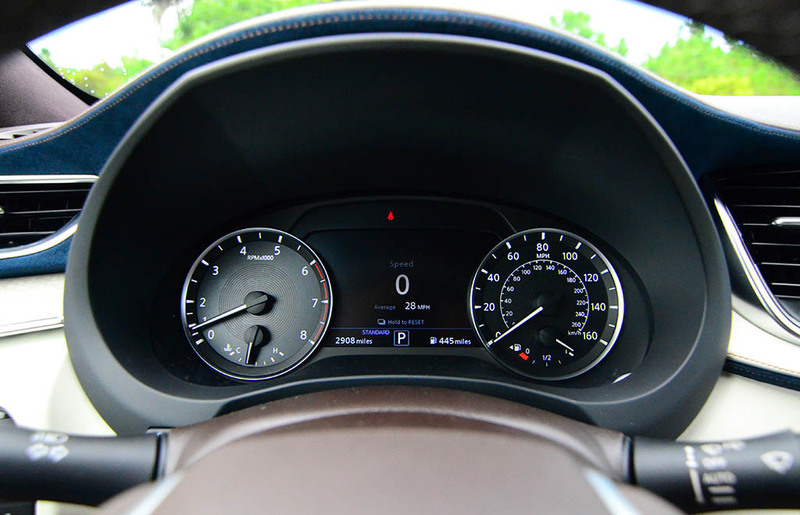 The Direct Adaptive Steering, which is part of the package that bundles ProPilot Assist, is a disconnect from the road in a sense where the steering is performed by a servo reading the inputs by wire from the steering wheel. Think of it as the most advanced PlayStation or Xbox gaming steering wheel around. 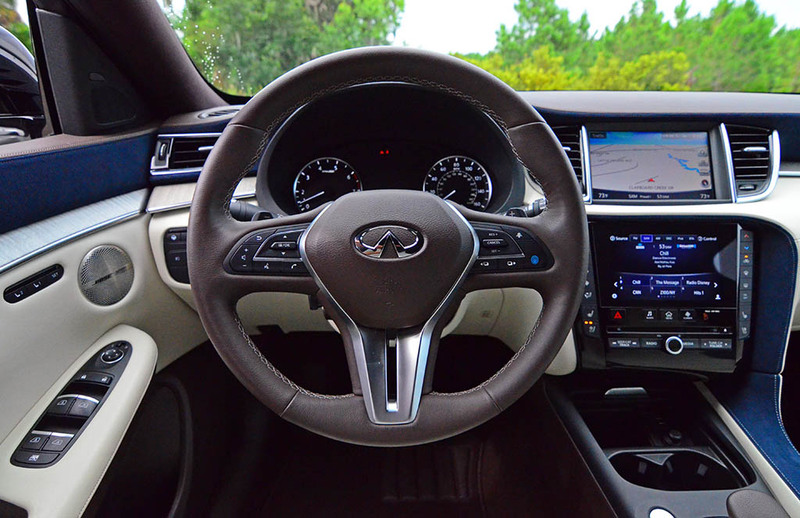 For safety, just as in the Infiniti Q50 or Q60 with DAS, the steering system has a backup physical connection that enables a clutch pack to connect the steering in the case of a system fault or outright failure. Under normal operation, the clutch pack disengages to allow the steering to be controlled electronically, by wire. The drive modes of the QX50 adapt different steering mappings for quicker response or heavier weightiness to the steering. I find that anything outside of the standard drive mode, the steering becomes over-boosted or too sensitive for an enjoyable experience. 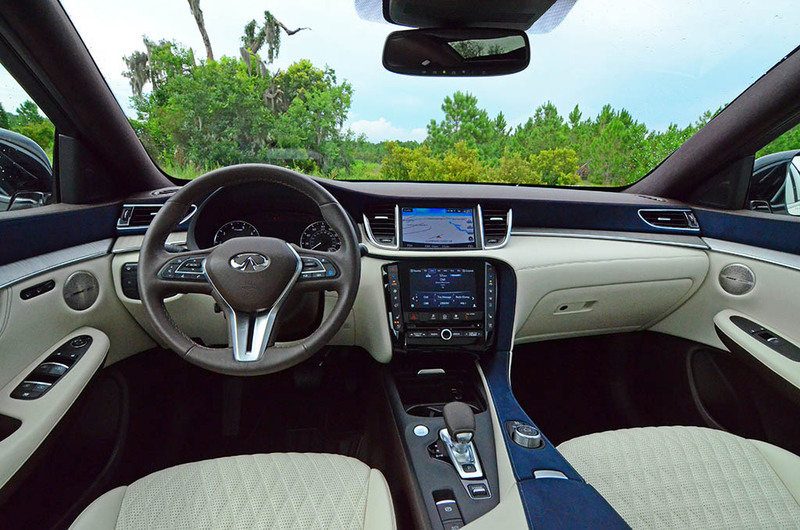 The interior of the new QX50 is a page taken from the all-too-familiar Infiniti branding done on vehicles like the Q50 and Q60. 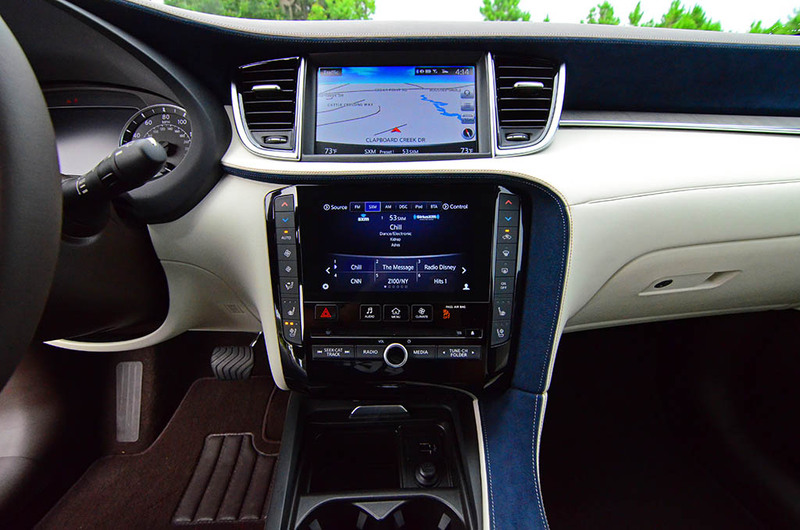 The dual-screen infotainment system setup is more of a love or hate deal for most. I’m not so sure a dedicated navigation screen up top is all that beneficial, especially with its now-antiquated mapping tech. The lower glossy touchscreen is acceptably responsive most times and is in just the right spot for a quick reach. While many of the controls and menu sets are clear and concise, they do take a while to become familiar. 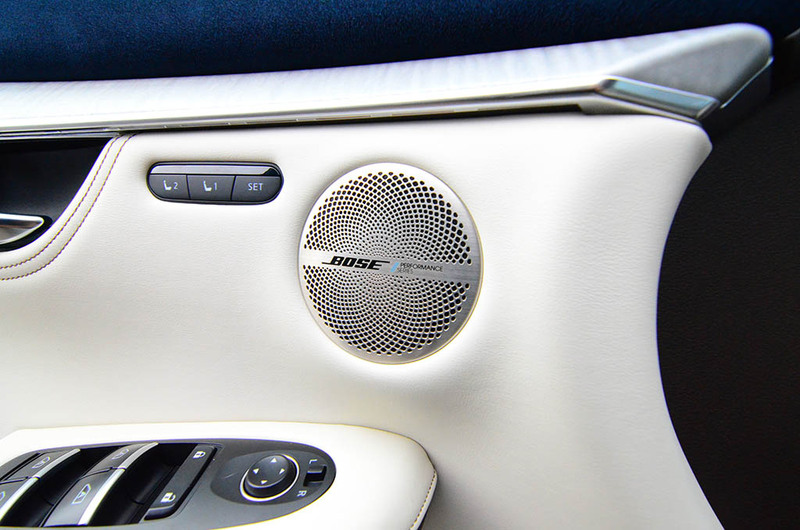 To the infotainment system’s benefit is that it isn’t as distracting as ones from Lexus, so there’s that. Apple Car Play and Android Auto are currently not available, but word from Infiniti is that they will roll out the integration features for next year’s lineup. Otherwise, the connectivity for smartphones is straightforward and the crisp displays of the system do well to keep on par with the exceptional luxury theme and appointments throughout the cabin. 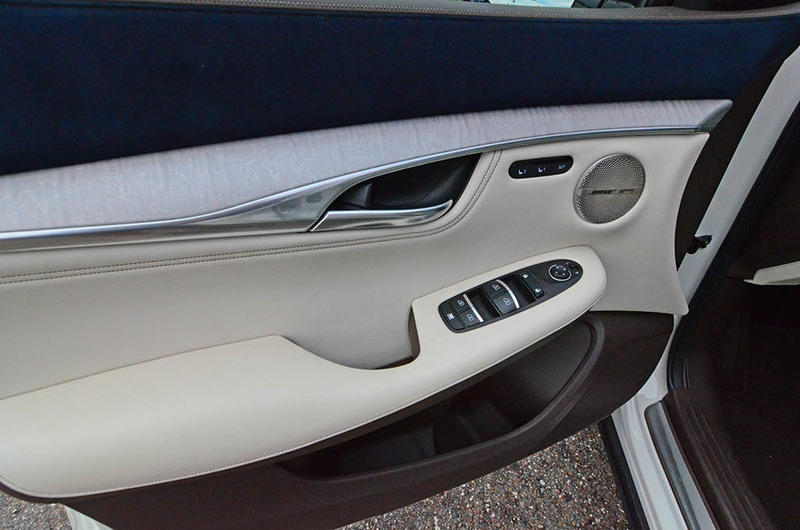 When it comes to luxury, Infiniti has things well dialed in for the new QX50’s interior. 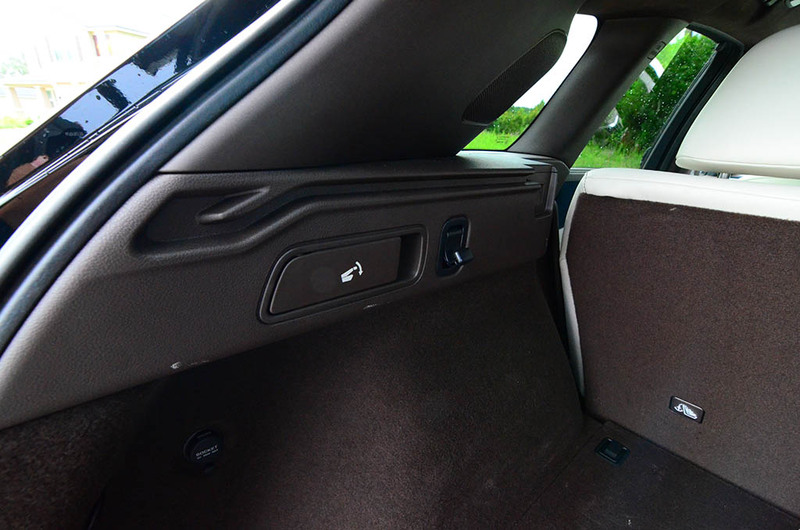 There is a special attention to detail throughout the cabin with the one exception being the lower plastic center console panel – it looks out of place of an otherwise delicious interior with several soft-touch surfaces, unique Blue ultrasuede accents, semi-aniline leather-quilted seats with heating and cooled front seats, and a suede-like headliner that encases a rather large power-slide-tilt glass panel roof with a power sunshade. 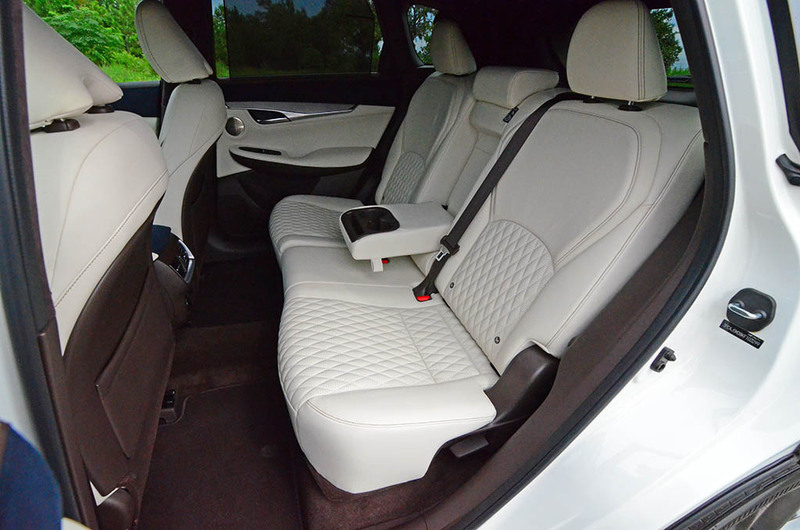 The new Infiniti QX50 makes clever use of its interior space whereas it feels roomier than its sleek exterior would otherwise indicate. 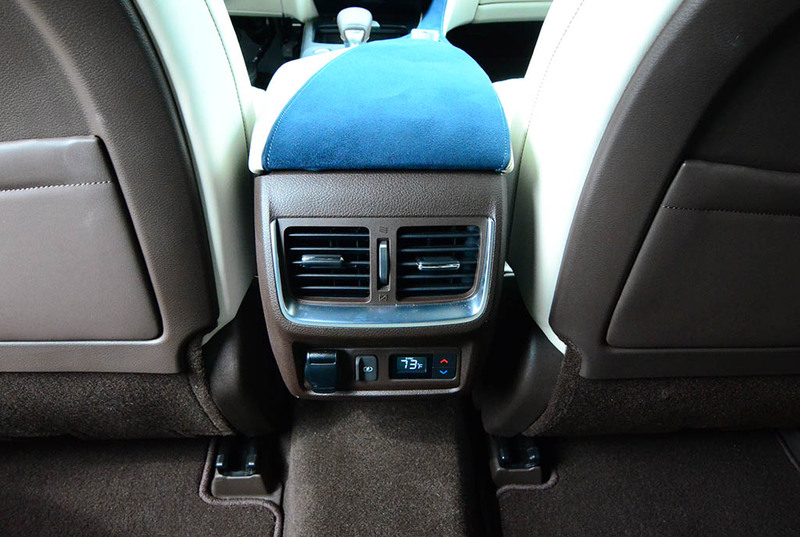 The front seats are quite comfortable and do not set in any noticeable fatigue on longer trips. 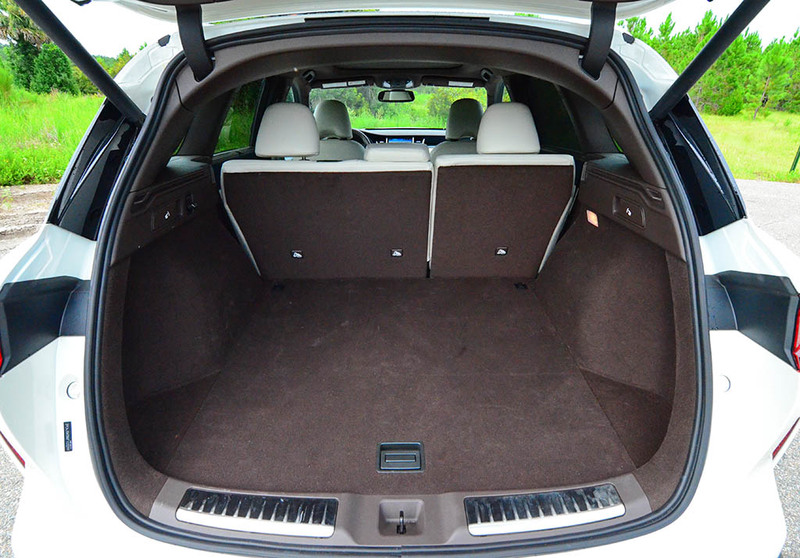 The rear seating is mostly accommodating for two adults and one child as is the rear leg and headroom. 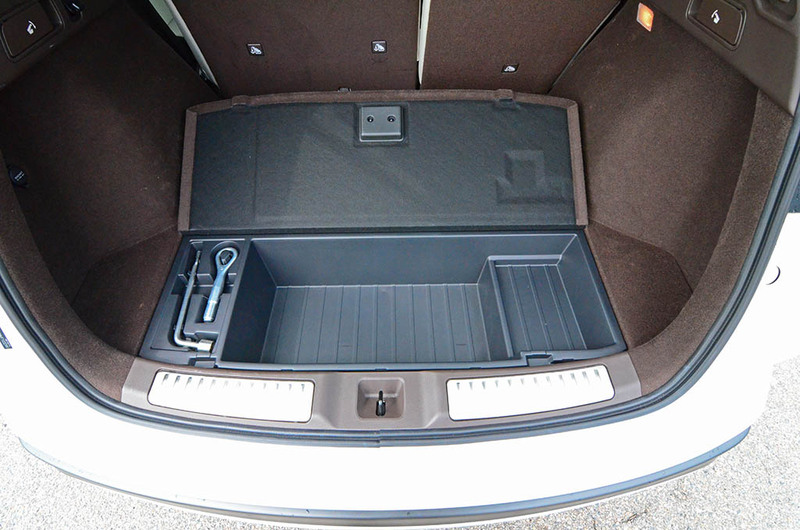 Cargo capacity is at 31 cubic feet with the seats in place and over 64 cubic feet with the 60/40-split seatbacks folded down. 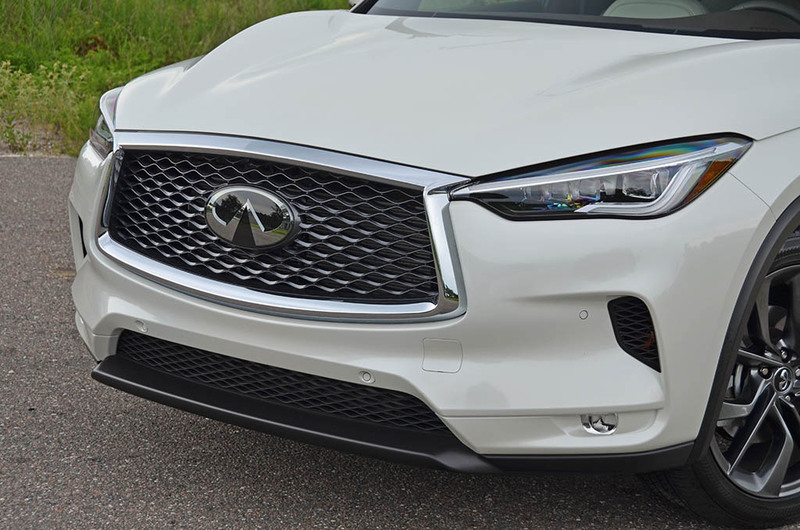 In my opinion, Infiniti has placed many eggs into the basket of the QX50, which isn’t a bad thing considering its initial appeal outside and in with anyone that gets the opportunity for a close look. Such a vehicle is somewhat a game changer for the brand as it will undoubtedly be a significant sales force with the growing demand for crossover utility vehicles. 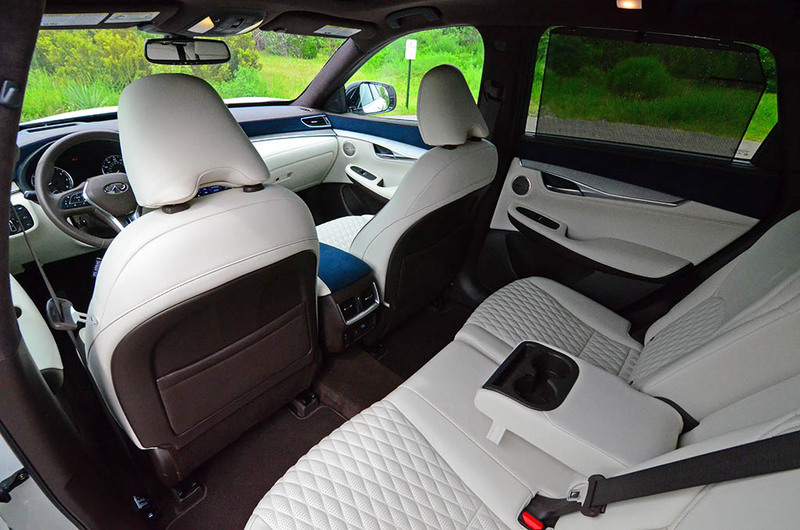 I for one, really enjoyed the QX50 as it fairly reminded me of our reliable 2009 Infiniti FX50S luxury crossover that we have hung onto here at Automotive Addicts for nearly 10 years now. 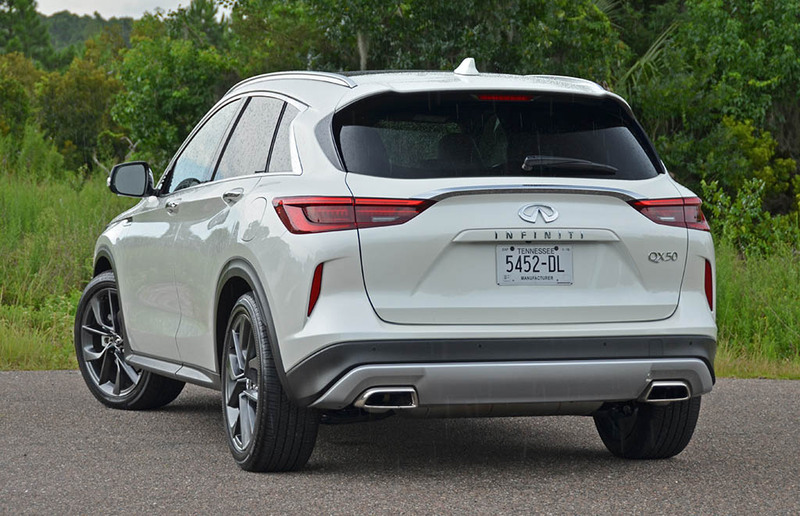 The price point of the new 2019 Infiniti QX50 starts at just $36,550 but can quickly reach almost $60K ($59,585 as-tested) for a loaded-up all-wheel-drive example like my QX50 Essential AWD test vehicle. 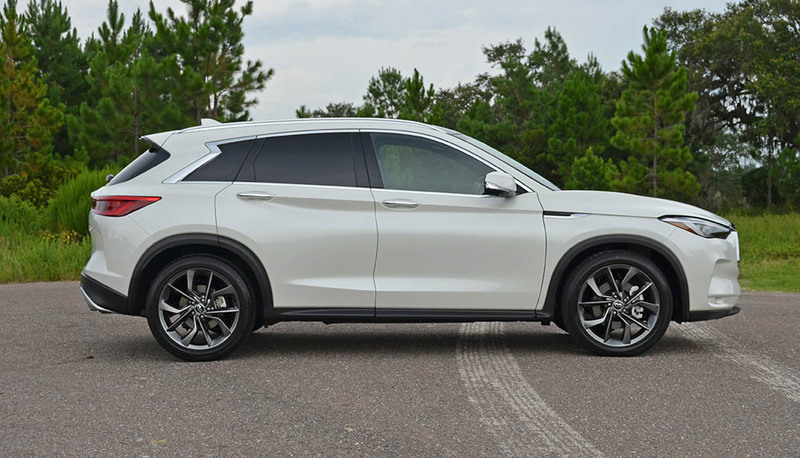 With all the equipment that you get in a fully-loaded example, in addition to the first-of-its-kind variable compression turbocharged engine that touts a respectable balance of efficiency and performance, I believe the new QX50 is well worth its admission.